Tauheed Epps (born September 12, 1977),   known professionally as 2 Chainz (formerly Tity Boi), is an American rapper, media personality and basketball player. Born and raised in College Park, Georgia, he initially gained recognition for being one-half of the Southern hip hop duo Playaz Circle, alongside his longtime friend and fellow rapper Earl "Dolla Boy" Conyers. The duo was signed to fellow Georgia-based rapper Ludacris' Disturbing tha Peace label, and are best known for their debut single "Duffle Bag Boy". College Park is a city in Fulton and Clayton Counties, Georgia, United States, adjacent to the southern boundary of the city of Atlanta. As of the 2010 census, the population was 13,942. Hartsfield–Jackson Atlanta International Airport is partially located in the city's boundaries, and the Georgia International Convention Center, owned and operated by the City of College Park, is within the city limits. The city is home to the fourth largest urban historical district registered with the National Register of Historic Places in the state of Georgia. In February 2012, Epps signed a solo record deal with Def Jam Recordings, an imprint of Universal Music Group. The following August, he released his debut studio album Based on a T.R.U. Story , to mixed reviews. The album spawned three successful singles: "No Lie," "Birthday Song," and "I'm Different", all of which charted in the top 50 of the Billboard Hot 100 and were certified Gold or higher by the RIAA, along with the album being certified Gold. His second studio album B.O.A.T.S. II: Me Time was released on September 11, 2013; supported by the lead singles "Feds Watching" and "Used 2". Epps began working with the TV Network Viceland on a show called Most Expensivest, which debuted its first episode on November 15, 2017, and is currently in its second season. North Clayton High School is a four-year public high school located in College Park, Georgia, United States. It is part of the Clayton County Public Schools. The school was created in 1937 as Flat Rock School, serving 44 students in grades 8-10 with eight teachers. Grades 11 and 12 were added the following year, and the school was given its current name. Wikipedia is a multilingual online encyclopedia with exclusively free content, based on open collaboration through a model of content edit by web-based applications like web browsers, called wiki. It is the largest and most popular general reference work on the World Wide Web, and is one of the most popular websites by Alexa rank as of October 2018. It is owned and supported by the Wikimedia Foundation, a non-profit organization that operates on money it receives from donors. 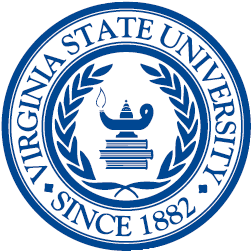 Virginia State University (VSU), also known as Virginia State, is a historically black public land-grant university in Ettrick, Virginia. Founded on March 6, 1882, Virginia State developed as the United States's first fully state-supported four-year institution of higher learning for black Americans. 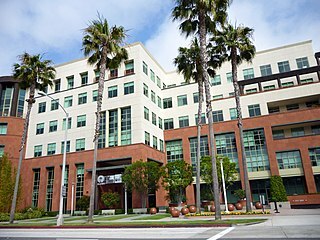 The university is a member school of the Thurgood Marshall College Fund. Throughout Epps's career, critics and fans alike have speculated the pseudonym "Tity Boi" was meant to be derogatory towards women, although he repeatedly denied such accusations. In early 2011, Epps decided to change his stage name to 2 Chainz, as he perceived it to be more "family friendly." Following the name change, Epps released a mixtape entitled T.R.U. REALigion, which became his first mixtape to appear on the music charts, peaking at number 58 on the US Billboard Top R&B/Hip-Hop Albums chart. Since the success of the mixtape, Epps has made numerous guest appearances on tracks by prominent recording artists such as  Kanye West ("Mercy") and Nicki Minaj ("Beez in the Trap"). On October 23, 2013, Epps revealed that he had begun working on his third studio album immediately following the release of B.O.A.T.S. II. He also stated he had the first single from his third album ready for release and that he still wanted to get Jay-Z featured on the album. In November 2015, 2 Chainz revealed that he was releasing a joint album with Lil Wayne, titled ColleGrove. On May 5, 2014, Epps released a brand new EP titled FreeBase for free digital download. 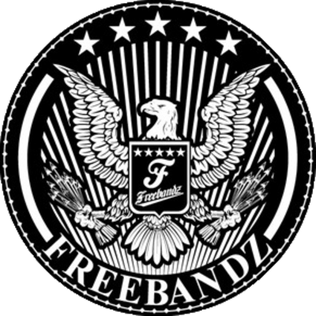 It includes 7 songs, and includes features from Lil Boosie, A$AP Rocky, Rick Ross and more. The EP has earned over 200,000 downloads. In January 2014 Epps released a promotional single titled "I'm A Dog." Epps began 2016 with the March release of a 12 record collaborative album with rapper Lil Wayne titled ColleGrove . The album was supposed to be the debut LP between 2 Chainz and Lil Wayne, however, Wayne's ongoing lawsuit with Cash Money Records prevented Wayne from being a primary artist on the album. Epps appears as the primary artist on the album with eight tracks featuring Lil Wayne. The album features prominent producers such as: Honorable C.N.O.T.E., Mike Will Made It, Zaytoven, TM88, Metro Boomin, London on da Track, and more. ColleGrove received decent reviews from critics and fans. Epps continued his work in 2016 with the August 5, release of mixtape Daniel Son; Necklace Don , currently a 9 track mixtape that Epps released independently. Daniel Son; Necklace Don originally featured Drake and YFN Lucci on it but Epps chose to move the song, "Big Amount ft. Drake" to 2017 studio album Pretty Girls Like Trap Music due to its mass appeal on the mixtape and star power performance. Daniel Son; Necklace Don received a 3 out of 5 stars review from XXL Magazine. 2016 was wrapped up by Epps third mixtape titled Hibachi for Lunch , released October 28. The seven track mixtape originally featured Quavo, Gucci Mane, Ty Dolla Sign, and Future however, the song, "Good Drank ft. Quavo and Gucci Mane" was moved to Pretty Girls Like Trap Music . Notable production was done by: Mike Will Made It, K Swisha, Buddah Bless. In 2017 Epps released his fourth studio album titled Pretty Girls Like Trap Music on June 16 by Def Jam Recordings. The album features Travis Scott, Nicki Minaj, Swae Lee, Migos, Jhene Aiko, Pharrell Williams, and more. Album production was done by Mike Will Made It, Buddah Bless, Mike Dean, Murda Beatz, and more. The album was supported by three official singles: "Good Drank", "It's a Vibe" and "4 AM". The album was also supported by a nationwide concert tour, as well as several pop-up shops in the US. 2 Chainz alluded to the album showing "growth and maturation." He stated the content would maintain its edginess while also elevating trap music to a point where everyone can appreciate it. Pretty Girls Like Trap Music received widespread critical acclaim, with most critics citing the album as his best album yet. On January 6, 2015, 2 Chainz announced that he was starting his own independent record label "The Real University" (also known as "T.R.U. "; or "The Real U"). The announcement also revealed that frequent collaborators Cap.1 & Skooly were signed. Additionally, they signed former Young Money   artist Short Dawg, who is now known as Fresh. Along with the announcement of the label's founding, they also revealed they'd be releasing their debut mixtape TRU Jack City on January 27, 2015. Jordan Michael Houston, known professionally as Juicy J, is an American rapper, songwriter and record producer from Memphis, Tennessee. He is a founding member of the Southern hip hop group Three 6 Mafia, established in 1991. In 2002, he released his solo debut album Chronicles of the Juice Man, in between Three 6 Mafia projects. In 2011, Juicy J announced that he was a part-owner and A&R rep for Wiz Khalifa's Taylor Gang Records, and the following year, he signed a solo deal with Columbia Records and Dr. Luke's Kemosabe Records. Juicy J released Stay Trippy, his third studio album under the aforementioned labels on August 27, 2013. He is the younger brother of frequent collaborator and fellow rapper Project Pat. Hot Rap Songs is a chart released weekly by Billboard in the United States. It lists the 25 most popular hip-hop/rap songs, calculated weekly by airplay on rhythmic and urban radio stations and sales in hip hop-focused or exclusive markets. Streaming data and digital downloads were added to the methodology of determining chart rankings in 2012. From 1989 through 2001, it was based on how much the single sold in that given week. The most weeks at number one was "Hot Boyz" by Missy Elliott featuring Nas, Eve and Q-Tip, and "Fancy" by Iggy Azalea and Charli XCX, singles that were number one for 18 weeks from December 1999 to March 2000 and May 2014 to August 2014. The discography of Jeezy, an American rapper, consists of eight studio albums, two independent albums, eighteen mixtapes, seventy singles and twenty-eight music videos. He has also released an album as a member of Boyz N Da Hood, as well with USDA, who are artists on his label. 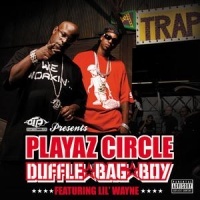 "Duffle Bag Boy" is a song by American hip hop duo Playaz Circle, released as the debut lead single from their debut album, Supply & Demand (2007). The song features a guest appearance from fellow American rapper Lil Wayne and was produced by M16 and Liam Kantwill. The song peaked in the Top 40 of the U.S. Billboard Hot 100, reaching number 15. "Bandz a Make Her Dance" is a song by American hip hop recording artist Juicy J. It was released on September 11, 2012 as the lead single from his third studio album Stay Trippy (2013). The song, produced by Mike WiLL Made It and co-produced by J-Bo, features guest appearances from fellow American rappers Lil Wayne and 2 Chainz. Tavares Taylor, known by his stage name Lil Reese, is an American rapper. Michael Len Williams II, known professionally as Mike Will Made It or simply Mike Will, is an American record producer, DJ, rapper, and songwriter. He is best known for producing trap beats for several Southern hip hop artists as well as for producing several singles, such as "Black Beatles" and "Powerglide" by Rae Sremmurd, "Mercy" by GOOD Music, "No Lie" by 2 Chainz, "Bandz a Make Her Dance" by Juicy J, "Pour It Up" by Rihanna, "Love Me" by Lil Wayne, "Body Party" by Ciara, "We Can't Stop" by Miley Cyrus, "Formation" by Beyoncé, and "Humble" by Kendrick Lamar. He has released six mixtapes and one studio album, Ransom 2. Dijon McFarlane, professionally known as Mustard, is an American record producer, DJ, record executive and hype man from Los Angeles, California. He is a frequent collaborator of Compton-bred rapper YG, and has produced numerous singles for hip hop and R&B artists since his entrance into mainstream music in 2011. Mustard's production style has been described as an up-tempo, club oriented, catchy yet rudimentary melodic hip hop style. This style has snowballed into the contemporary production style of West Coast hip hop during the early 2010s, which he calls "ratchet music". Almost all of his productions begin or end with the tag "Mustard on the beat, hoe! ", a voice sample of YG, who says it at the end of "I'm Good", one of their early collaborations, as well as claps and repetition of the word "hey". Mustard's debut album, 10 Summers, was released on August 26, 2014. B.O.A.T.S. II: Me Time is the second studio album by American rapper 2 Chainz. It was released on September 10, 2013, by Def Jam Recordings. The album serves as a sequel to his certified Platinum, Grammy-nominated debut album Based on a T.R.U. Story (2012). It features guest appearances from Pharrell Williams, Drake, Lil Wayne, Mase, Chrisette Michele, Pusha T, Fergie, Iamsu!, T-Pain, Dolla Boy, Rich Homie Quan and Lloyd, while the production was handled by Diplo, Mike Will Made It, Drumma Boy, J.U.S.T.I.C.E. League, Mannie Fresh, Wonder, Honorable C.N.O.T.E. and DJ Toomp, among others. Cydel Young, better known by his stage name CyHi the Prynce, is an American rapper and songwriter from Stone Mountain, Georgia. In 2009, Young signed his first major-label contract with Konvict Muzik, with the backing of Def Jam Recordings. In 2010, he signed with Kanye West's GOOD Music label imprint. Young went on to appear on West's highly acclaimed album, My Beautiful Dark Twisted Fantasy (2010) and has released nine mixtapes, with the latest being BHP II: NAACP (2015), a conscious hip hop concept mixtape about the history of black people in America and the sequel to Black Hystori Project, released in February 2014. He was released from his Def Jam contract in August 2015. In November 2017, he released his debut album, No Dope on Sundays, under GOOD Music and Sony Music, following years of label disputes and series of mixtapes spanning his career. ColleGrove is the third studio album by American hip hop recording artist 2 Chainz. It was released on March 4, 2016, by Def Jam Recordings. The album was originally a collaborative effort between 2 Chainz and fellow American rapper Lil Wayne, but due to his record label issues, only Chainz was credited as the primary artist. ↑ "‎Bigger Than You (feat. Drake & Quavo) - Single by 2 Chainz" – via itunes.apple.com. ↑ "2 Chainz Gets His Big Booty Birthday Wish". Rap-Up.com. Retrieved June 15, 2015. ↑ "2 Chainz". Sportsagents.net. Retrieved May 7, 2016. ↑ "Critic Reviews for Based on a T.R.U. Story". Metacritic. Retrieved November 20, 2012. ↑ Boardman, Madeline (January 28, 2015). "2 Chainz Might Run for Mayor of College Park, Georgia: Rapper Gets Political". Us Weekly. Retrieved November 8, 2016. 1 2 3 Stern, Marlow (March 27, 2016). "2 Chainz Is No Donald Trump Fan". The Daily Beast. Retrieved November 8, 2016. ↑ "How good was 2 Chainz at basketball?". espn.go.com. ESPN. Retrieved December 10, 2012. ↑ Vanessa Quilantan (September 25, 2012). "Five Reasons Why 2 Chainz Should Make A Presidential Bid". The Observer. Retrieved January 10, 2016. ↑ "Tauheed Epps". S-R CBB. Retrieved July 4, 2017. 1 2 3 "Playaz Circle". Dub Magazine. Dub Publishing. Retrieved May 20, 2012. 1 2 3 4 Cordor, Cyril. "Playaz Circle – Biography". Allmusic . Rovi Corporation . Retrieved May 20, 2012. 1 2 Vasquez, Andres (March 15, 2012). "2 Chainz Reveals Album Title, Speaks On Leaving Ludacris' Label". HipHopDX. Cheri Media Group. Retrieved May 20, 2012. 1 2 "2 Chainz Opens Up About Why He Was Named 'Tity Boi,' T.R.U. Realigion Mixtape, and his Use of Codeine Syrup. 2 Chainz also collaborated with 8 Rochester rapper "Dale Mahoney" on his mixtape "Jordans&Drugs" in 2012". Vibe . Vibe Media. October 27, 2011. Retrieved May 20, 2012. ↑ Harling, Danielle (January 3, 2012). "2 Chainz Explains His Decision To Drop Tity Boi As A Stage Name, Says 2 Chainz Is More "Family Friendly"". HipHopDX. Cheri Media Group. Retrieved May 20, 2012. 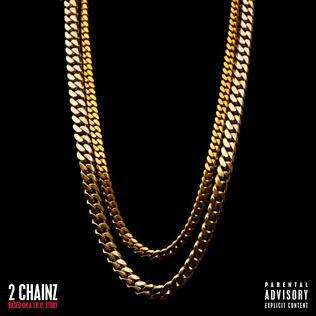 ↑ "2 Chainz – Charts & Awards – Billboard Albums". Allmusic. Rovi Corporation. Retrieved May 20, 2012. ↑ Bark, Theo (April 3, 2012). "2 Chainz, 'Based on a T.R.U. Story': Rapper Reveals Producers on LP, Speaks on Kanye West". The Boombox. AOL . Retrieved May 20, 2012. ↑ "No Lie (feat. Drake) – Single by 2 Chainz". iTunes Store . Apple . Retrieved May 20, 2012. ↑ West, Kanye (May 11, 2012). "2 Chainz is charging 100k for a verse now cause he's G.O.O.D!!!!!". Twitter. Twitter. Archived from the original on July 10, 2012. Retrieved May 27, 2012. ↑ Horowitz, Steven J. (May 12, 2012). "2 Chainz Responds To G.O.O.D. Music Signing Rumors". HipHop DX. Archived from the original on December 10, 2012. Retrieved December 10, 2012. ↑ "Ciara Announces New Album One Woman Army". Rap-Up.com. Retrieved May 30, 2012. ↑ Vazquez, Edwin. "Hip Hop Album Sales: The Week Ending 8/19/2012". Cheri Media Group. Retrieved August 22, 2012. ↑ "Critic Reviews for Based on a T.R.U. Story". Metacritic. Retrieved October 26, 2013. ↑ Paine, Jack. "Hip Hop Album Sales: The Week Ending 9/23/2012". HipHopDX. Cheri Media Group. Retrieved September 26, 2012. ↑ Murphy, Keith. "Editor". CBS Local. ↑ Markman, Rob. "2012 BET Hip Hop Awards Belong To Kanye West, 2 Chainz". mtv.com. MTV News. Archived from the original on December 10, 2012. Retrieved December 10, 2012. ↑ Fitzgerald, Trent. "2 Chainz Crowned Man Of the Year by The Source Magazine". Popcrush. Archived from the original on December 10, 2012. Retrieved December 10, 2012. ↑ Crates, Jake. "2 Chainz Featured in Champs Sports Commercials and Facebook Digital Game for Adidas Originals". AllHipHop. Archived from the original on December 10, 2012. Retrieved December 10, 2012. ↑ Kathiya, Henna. "2 Chainz, Azealia Banks, Lil Wayne And More Star In Beats By Dre Ad". MTV RapFix. Archived from the original on December 10, 2012. Retrieved December 10, 2012. ↑ Watson, Andrew. "2 Chainz Discusses Grammy Nomination For Rap Album Of The Year, Thanks Kanye West And Drake". The Versed. Archived from the original on December 10, 2012. Retrieved December 10, 2012. ↑ "2 Chainz Has Three Songs Recorded For Sophomore LP". HipHopDX. Retrieved November 2, 2012. ↑ "XXL Presents... The 35 Most Anticipated Albums of 2013 – XXL". Xxlmag.com. January 14, 2013. Retrieved October 26, 2013. ↑ "Law & Order: SVU Exclusive: Kathryn Erbe Returns for 'Big' Fin Episode". TVLine.com. Retrieved April 9, 2013. ↑ "2 Chainz Guest Stars On "2 Broke Girls"". www.hiphopdx.com. Retrieved May 17, 2013. ↑ Paine, Jake (August 22, 2013). "2 Chainz "B.O.A.T.S. II: Me Time" Release Date, Tracklist & Production Credits | Get The Latest Hip Hop News, Rap News & Hip Hop Album Sales". HipHop DX. Retrieved October 26, 2013. ↑ Langhorne, Cyrus (June 3, 2013). "2 Chainz Has The "Feds Watching" At Summer Jam [Video". Sohh.Com. Retrieved October 26, 2013. ↑ "Exclusive: Pharrell On the Making Of 2 Chainz 'Feds Watching' Single". Vibe. June 5, 2013. Retrieved October 26, 2013. ↑ "2 Chainz B.O.A.T.S. II and Drake at Hot 107.9 Atlanta Birthday Bash". Complex. Retrieved October 26, 2013. ↑ "2 Chainz Is Pissed At The Amount Of Copies His Album Shipped – XXL". Xxlmag.com. September 10, 2013. Retrieved October 26, 2013. 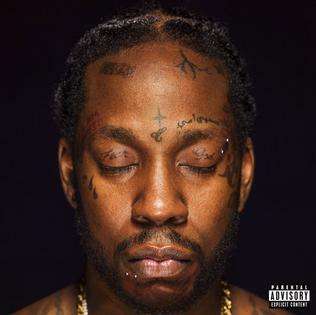 ↑ "Tracklisting: 2 Chainz – 'B.O.A.T.S. 2 #MEtime'". Rap-Up.com. August 22, 2013. Retrieved October 26, 2013. ↑ "B.O.A.T.S. II: #METIME Reviews". Metacritic. Retrieved October 26, 2013. ↑ "Keith Urban Edges the Weeknd for No. 1 Debut on Billboard 200". Billboard. December 1, 2012. Retrieved October 26, 2013. ↑ *Please enter your name. (October 26, 2013). "Xxlmag.com". Xxlmag.com. Retrieved May 7, 2016. ↑ "2 Chainz Announces Next Solo Album & Joint Project With Lil Wayne". HotNewHipHop. Retrieved February 22, 2016. ↑ "Datpiff.com". Datpiff.com. Retrieved May 7, 2016. ↑ "TIDAL". Listen.tidal.com. Retrieved May 7, 2016. ↑ "Fans Can Enjoy Season 3 of Most Expensivest on Viceland in early 2019". premieredate.news. ↑ "2 Chainz Talks Legalization, Voting Rights & Fatherhood". Papermag. May 4, 2015. Retrieved July 24, 2015. ↑ "2 Chainz Reveals Whether He Lets His Children Listen To His Music". HipHop DX. October 22, 2013. Retrieved July 24, 2015. ↑ "2 Chainz Welcomes Third Child: A Baby Boy". BallerStatus.com. October 15, 2015. ↑ Pasquini, Maria (August 18, 2018). "2 Chainz Marries Longtime Love Kesha Ward in Miami Ceremony (with the Wests in Attendance!)". People. Retrieved 28 August 2018. ↑ "2 Chainz Breakfast Club Interview". Complex. July 25, 2013. Retrieved October 26, 2013. ↑ "2 Chainz Arrested in Maryland on Marijuana Charge". Rolling Stone . February 15, 2013. ↑ "2 Chainz Arrested In LAX For Possession Of Marijuana And Promethazine – XXL". Xxlmag.com. June 11, 2013. Retrieved October 26, 2013. ↑ "Rapper 2 Chainz robbed outside S.F. marijuana dispensary". SFGate.com. Associated Press. June 10, 2013. Retrieved June 27, 2013. ↑ MICHAEL MCNUTT mmcnutt@opubco.com • (September 3, 2013). "Oklahoma City police found weapons, painkillers on rapper's tour bus, court papers show". News OK. Retrieved October 26, 2013. ↑ Goddard, Kevin (October 14, 2016). "2 Chainz releases line of hoodies". Hotnewhiphop. Retrieved October 14, 2016. ↑ Goddard, Kevin (November 19, 2016). "2 Chainz releases line of sweaters called "Dabbin Sweaters"". Hotnewhiphop. Retrieved November 19, 2016. ↑ "2 Chainz Announces The Real University Label With Mix-tape "Tru Jack City"". The Source. Retrieved May 7, 2016. ↑ *Please enter your name. (January 6, 2015). "2 Chainz Featuring Cap 1 And Young Dolph "Trap House Stalkin" – XXL". Xxlmag.com. Retrieved May 7, 2016. ↑ "Short Dawg | Young Money Artist". Youngmoneyhq.com. Retrieved May 7, 2016. ↑ Amir Diamond. "Find Out Why Short Dawg aka Fre$h Is No Longer With Young Money!! | 97.9 The Box". Theboxhouston.com. Retrieved May 7, 2016. ↑ "Bird Bath EP by Cap1 on iTunes". Itunes.apple.com. January 13, 2015. Retrieved May 7, 2016. ↑ "2012 Hip Hop Awards Winners & Nominees". bet.com. BET. April 25, 2012. Retrieved June 9, 2016. ↑ BET Staff (April 23, 2016). "2013 Hip Hop Awards Winners & Nominees". bet.com. Retrieved April 30, 2017. ↑ "And the Nominees Are". bet.com. Retrieved March 14, 2018. ↑ "Grammys 2013: Complete list of nominees and winners". Los Angeles Times. February 10, 2013. Retrieved May 1, 2017. ↑ "Grammys 2014: Winners list". CNN. January 27, 2014. Retrieved May 1, 2017. ↑ "Grammy Awards 2017: The Full List Of Winners". npr.org. February 12, 2017. Retrieved May 1, 2017. ↑ "Soul Train Awards Highlights: Kanye Has No "Mercy"". bet.com. BET. Retrieved May 1, 2017. Kanye West's "Mercy" wins Best Hip Hop Song of the Year. ↑ "OKP News: Soul Train Awards 2012 Nominations". Okayplayer. Retrieved May 1, 2017.